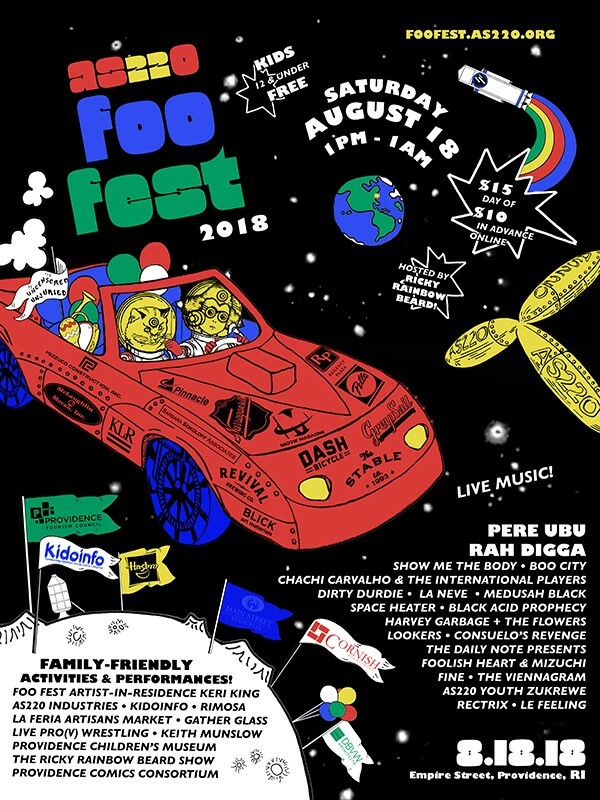 On Saturday, August 18th, experience FOO FEST, AS220’s annual summer block party! From 1 PM to 1 AM, join people of all ages on Empire Street for 12 hours of music, food, art, performances, family-friendly activities, interactive art experiences, and more. You’ll have a chance to meet local artists, makers, and representatives of arts and cultural organizations while celebrating creativity in the city and around the state! Advance tickets are available online for $10 or at the gate during the event for $15. For $25, you can buy a ticket and support AS220’s All Access campaign to make improvements, upgrades, and renovations to the Empire Street Complex. Kids ages 12 & under are FREE, and volunteers who sign up for 3-hour shifts receive free admission, plus a free drink and official volunteer patch! Co headliners are Rah Digga, a rapper, model, actress, and former member of the Flipmode Squad, and Pere Ubu, a band that formed in the 1970s and continues to produce new critically acclaimed material. 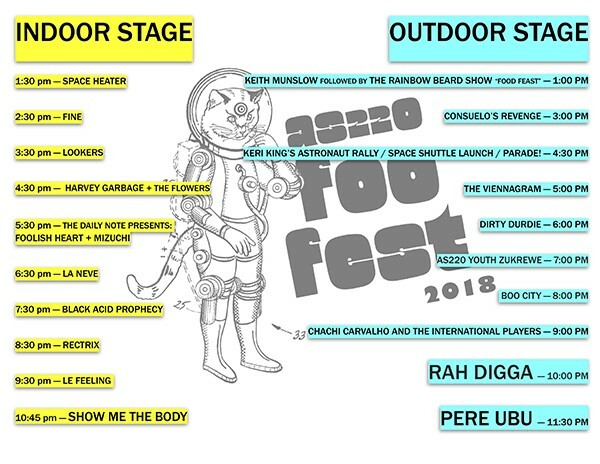 To plan your day, see the full lineup below, including acts such as Show Me the Body, Chachi Carvalho, Boo City, Dirty Durdie, Black Acid Prophecy, Lookers, The Viennagram, Space Heater, AS220 Youth Zu-Krewe and more. For more details, visit foofest.as220.org.